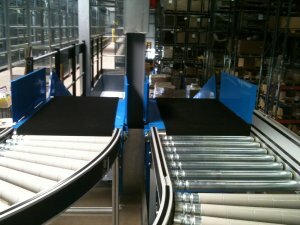 Although Andrews Automation Ltd provides a wide and varied range of pallet handling and conveyor solutions, we have built up reputation for providing first class roller conveyor solutions for all kinds of industry. 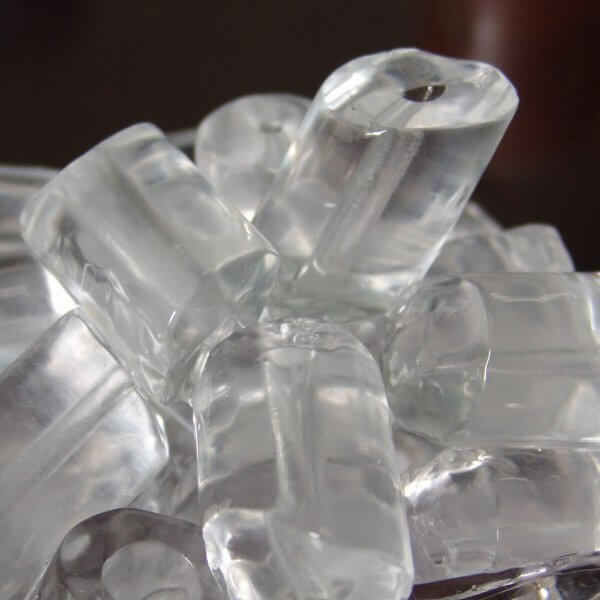 Whether you require low cost, easy to use non-powered roller conveyor, or automated Zero Line Pressure ( ZLP ) solutions that buffer or queue products as part of a production process, we are able to provide a solution to suit. Andrews Automation Ltd has provided a significant number of non-powered, or gravity powered roller conveyors since their inception in 2003. Having developed a reputation within the wood industry, we have supplied miles of roller conveyor at sites all across the UK. Many of these roller conveyor systems are part of an integrated system that also incorporated scissor lifts and /or transfer trolleys. Although scissor lifts are sourced from our strategic partners, transfer trolleys are built and designed in-house to meet customer specifications and requirements. Our powered roller solutions can come in many forms, from the light duty aluminium framed tote conveyor or box conveyor, to the heavy duty pallet roller conveyor that can transport loads of 1500kg and more. 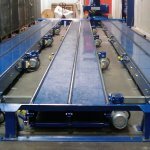 The powered roller conveyors provided by Andrews Automation Ltd utilise either a sprocket driven powered roller chain drive system, or a timing pulley powered belt drive solution. The final selection will be based on the application and in certain circumstances will be down to client preference. Design and build work for our roller conveyor solutions is carried out at our facility in Goole, East Riding of Yorkshire, and systems are tested and broken down again prior to delivery and installation. We also have our own in-house controls team that design and built our PLC’s too allowing us to be a “one stop shop” for our clients, giving us the edge on many of our competitors.